You're all set! Confirm you want deals for Willow Creek Dental in -zip-? 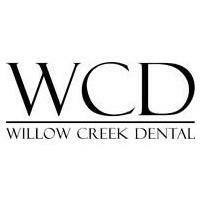 At Willow Creek Dental, we are committed to providing you with exceptional dental care. Established in 1998 as a dental practice in Highlands Ranch, CO, we are located in heart of Lone Tree, CO. Our experienced team works to make sure you receive the highest quality of care in a friendly and relaxed atmosphere. Schedule Today with Our Lone Tree Dentist!